Leveraging the right growth hacking strategies that match your business can bring great results. Growth hacking is the process and mindset of finding ways to achieve consumer growth. It’s the most effective and efficient method in developing a startup, community, charity, or website. Growth hackers don’t follow the rules of traditional marketing. Instead, they replace it with testable, trackable and scalable techniques. They form marketing strategies through testing and analyzing results and real user feedback. This week on Five Tips Tuesday, we’ll help you understand better the role of growth hacking strategies in your company. Learn about the benefits of growth hacking on startups and small businesses. Find out its difference from digital marketing. Analyze the growth hacking’s framework with the help of a gifographic. Check out the growth experts you should be following. And lastly, get the book that can empower you to apply growth hacking on your business. Growth hacking is not a new concept. Many startups and small businesses rely on it to achieve their desired goals. But what exactly are the benefits of growth hacking? And how is it applied differently for startups and small businesses? Many entrepreneurs are having doubts about whether they need a growth hacker or a digital marketer. Growth hackers and digital marketers may use the same channels, but their focus and ideologies about work are different. Check out this article to find out the key differences between growth hacking and digital marketing. Are you still confused about growth hacking? Or clueless on how to implement it in your business? Take a look at this definitive guide for growth hacking. The gifographic explains the phenomena in a simplified manner. It also breaks down the hacking framework’s four essential steps. Growth experts have the ability to draw connections between how a company is performing and the actions required to improve its performance. That’s why entrepreneurs have a lot to learn from growth hackers. Check out this list from Hubspot and discover the growth hacking experts you should follow right now. If you’re looking for creative and cost-effective ways to grow your business, “Growth Hacking: Silicon Valley’s Best Keep Secret” is the best book for you. Written by growth consultants Raymond Fong and Chad Riddersen, this book contains an easy to understand blueprint called ASP. The ASP is developed through Raymond and Chad’s work in the tech community. They even used it to produce high-leverage, scalable growth for companies in a variety of industries. 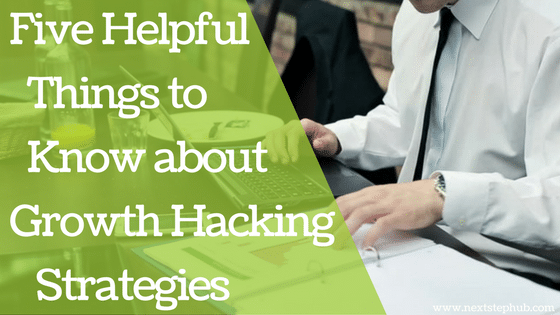 How did growth hacking strategies help your businesses? Tell us in the comments.